Feng Shui ABC 1: What will the year of the Water Snake bring to you in 2013? 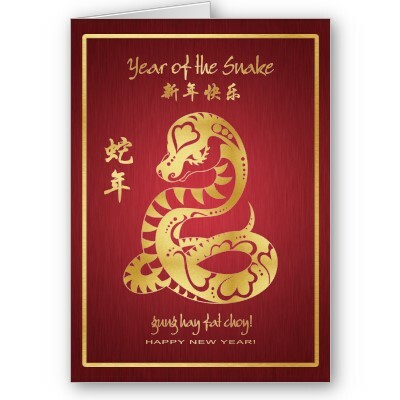 What will the year of the Water Snake bring to you in 2013? The year of the Chinese Dragon was an intense year for all of us! It was either intensely good or intensely bad, there was no in between. However, the year of the Water Snake brings good fortune to all of the animal signs. This only happens once in 9 years, so that is an awesome start for all of us. This is the year to make your strategy big for your personal and professional areas of your life. Lots of good news this year with 2013 having all of the five elements present, water, fire, earth, wood, metal and fire. You have the chance to make things happen quicker and easier. Now is the time to get your thinking cap on and figure out what is most important to you at this date and time. We are very fortunate this year with the energies bringing forth more a sense of calmness, not like the Dragon energy of 2012. You can now refocus your goals and intentions easier and with more success. The young will be focusing on new ways of achieving their goals and creating a different world in how they work, communicate and interact with each other. The older generation will be looking at how to create and keep their wealth and they also will be more focused on strengthening their previous way of life to fit in successfully with the younger generation. Feng Shui Grandmaster Lillian Too says, “The year’s outlook will be balanced, bringing harmony and fewer problems and obstacles.” We should all breathe a sigh of relief and create the year that we want by focusing and strategizing our business plans with creativity and harmony. She also explains the elements and their meaning this year. The Wood element is representative of the Wealth Luck which means for all of us new wealth coming in this year. Earth is the element that represents Resource Luck which means support for your projects and goals. The element of Metal indicates good fortune to all of the animal signs and things will be manifested very easily. This is the BEST news for 2013. Add a little extra of this element and it will support your health and vitality for the year. The balancing of elements in your home and office spaces is what attracts good fortune. Since the “Boomers” are the generation to be reckoned with at this time, the power element of Fire will be very good for them. This is the generation that will benefit the most as they are considered the older, wiser generation. They are the ones that will benefit greatly at the beginning of the year with this great, new, energy. Now for all of the young people, the element of Water comes with an Intelligence Luck in 2013. The best ideas and creativity will come from this generation, as it should be, to move the generations forward. Their visionary abilities will be the best at the end of 2013. I will be studying with Grand Master Lillian Too in January and will be sharing her wisdom on the art of Feng Shui for the Chinese Year of the Water Snake in February. Stay tuned for dates and times of her yearly Chinese Animal updates. Chinese New Year Tips - Gung Hay Fat Choy!